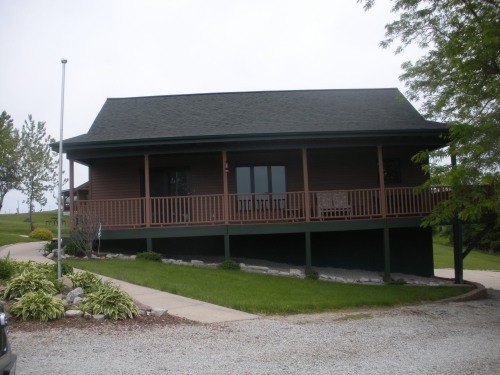 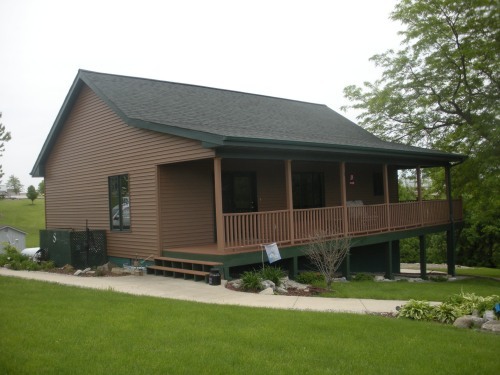 Description: This two bedroom/three bathroom cabin is a perfect week-end retreat. 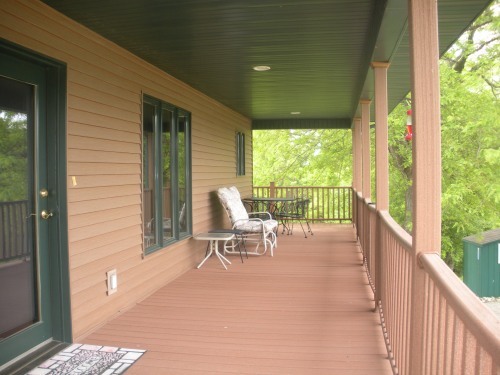 The cabin was built in 2004 and includes an 40×8 covered deck with a 20×4 wrap around rear deck. 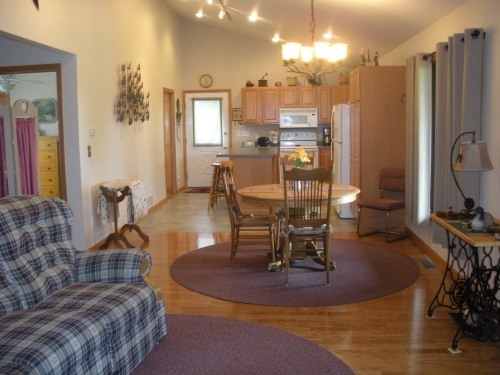 The 25×13 living/dining room give ample space for week-end company. 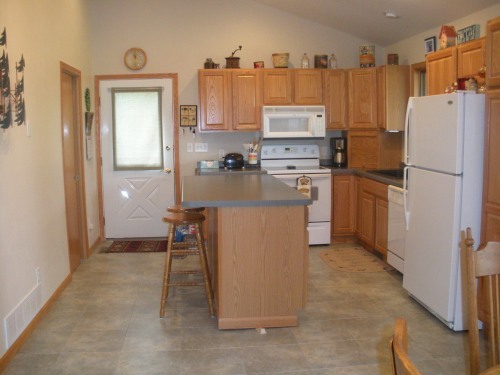 The open concept includes a 14×13 kitchen with island. 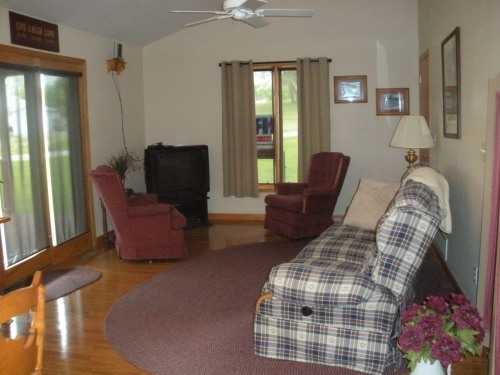 There are two bedrooms and two bathrooms on the main floor.